Helen Dardik has long been one of my favorite illustrators. I have had her prints hanging in my children's rooms since before they were born. When I saw that she had contributed to a coloring book for Flow Magazine I jumped at the news stands. These doodles were just too cute to keep bundled up inside the book, I needed to share the love with my friends and family. I needed to bring another little in my life over to the Helen side. 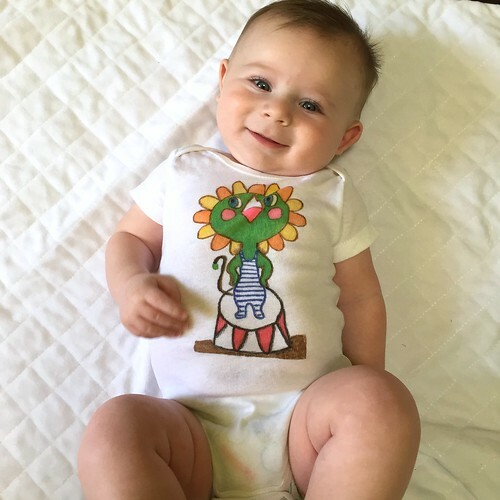 Enter my adorable nephew Wylder and his new Gerber® ONESIES® that I made using my coloring book and Tulip Fabric Markers. 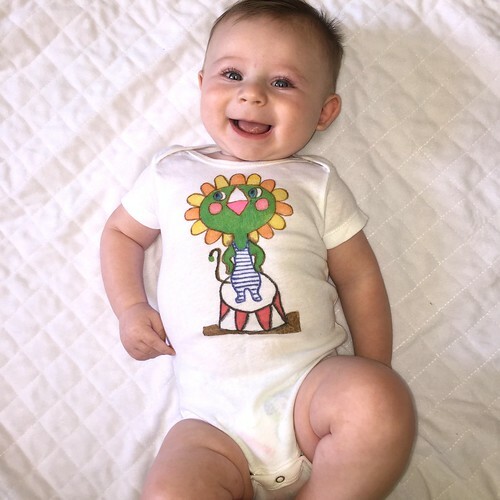 First using a pencil and graphite paper I traced a page from the coloring book onto my Gerber® ONESIES®. 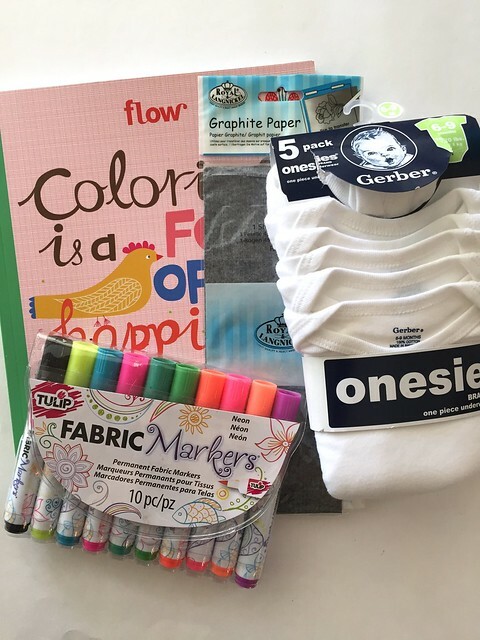 You will want to have something hard (like the coloring book) between the front and the back. 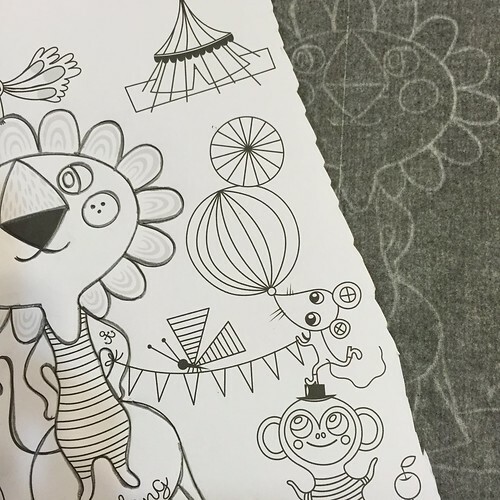 Remove your graphite paper and now you have an image to color with your Tulip Fabric Markers. I keep hearing that coloring books for adults are all the rage. I think they may be right. 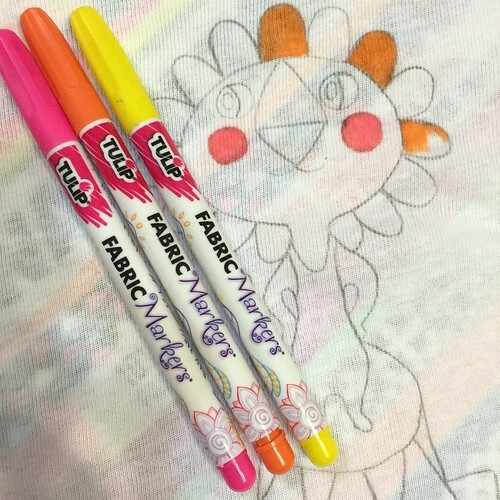 Now I can color alongside my kids and using my fabric markers I can also make them some new duds.